"Excuse me, while I kiss the sky..."
Beautiful framing of the US flag under the bridge archway. 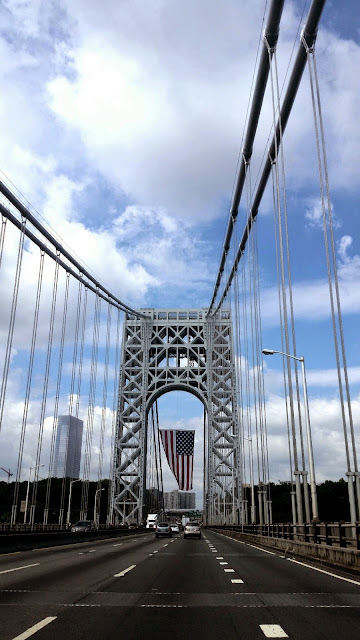 I love how that big American flag hangs down from the bridge! Lovely shot! That is a pretty sky picture. Such a perfect quote to.